Spring loaded and intended for rebated installation in the 13mm x 28mm mortised bottom edge of a swinging door. Screws are included, and seal is pre-drilled for easy installation. Up to 200,000 cycles of maintenance-free operation for fire-rated doors. The spring-loaded seal rises to allow door movement when leaf is opened. When closed, the seal’s adjusting screw forms a seal by applying pressure on the door jamb. Included bumper allows for application on either the inside or outside of door. Required drop length should not exceed 14mm. Minimum gap for proper operation is 3mm. May be trimmed up to 100mm during install. 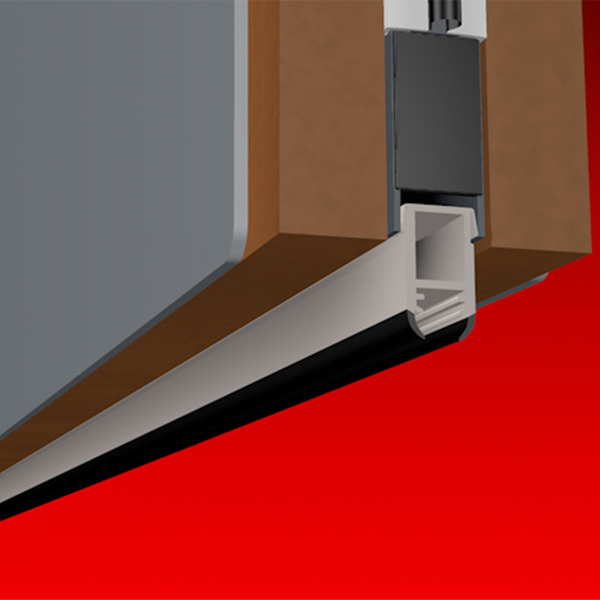 We stock the smoke-rated rebated bottom door seal in a wide variety of lengths. 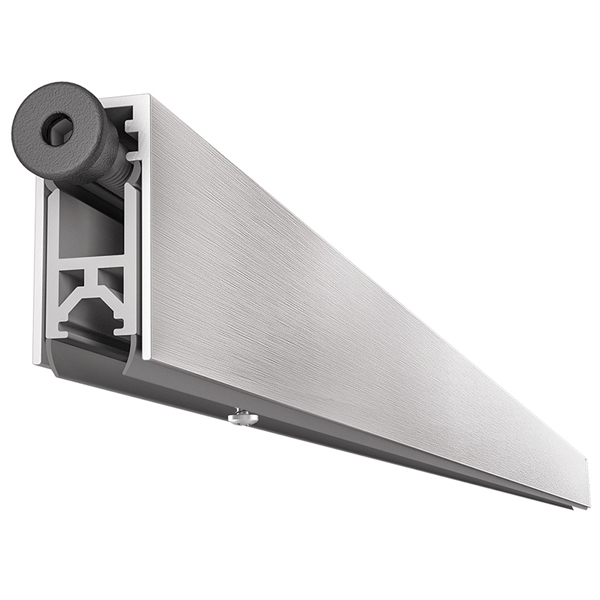 Choose from 330mm, 430mm, 530mm, 630mm, 730mm, 830mm, 930mm, 1030mm, 1130mm and 1230mm. Body is constructed of aluminium, and finish is anodised clear satin. Carrier and seal are made of self-extinguishing PVC rubber. Appropriate for both new construction and retrofit applications. Rebated fitting - comes with prefitted screws.